Hi, It's Joni from Joni52 Stamps and Scraps! Today is my first post with Great Impressions! Isn't this guy, just the cutest! I stamped him with Memento Tuxedo Black ink unto Xpress It Blending Card. Then I colored him in with copics. I layered him up with some dies. I added a couple of layers of lace and trim for the bottom border. Adorable!! 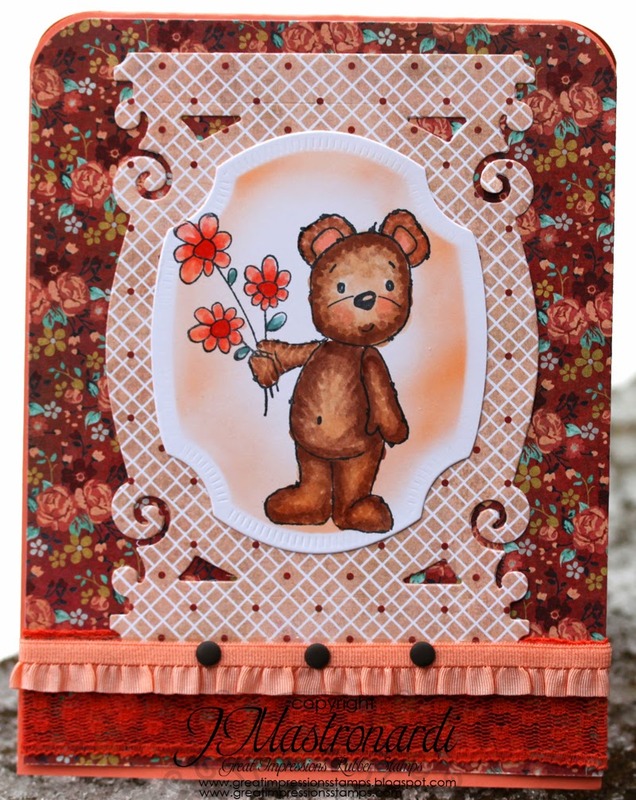 Lovely coloring on the bear! !